Stay informed about the events and news about the Museum of Natural History and the Mushroom Museum. The Museum took part in the SIAL PARIS exhibition in France, which took place from 21 to 25 October. One of the largest exhibitions in Europe, with thousands of visitors and buyers from around the world. With our participation, we presented our mushroom products and different proposals for their inclusion in the consumer’s everyday life…. From Saturday 31/3 to Sunday 15/4, the Natural History Museum of Meteora and Mushroom Museum, will be open at 10:00 pm – 7:00 am. The only day the museum will be closed, it will be on Easter Sunday. Natural History Museum of Meteora and Mushroom Museum gained a new award! This is the second year in the row that the biggest travel website TripAdvisor honors the Natural History Museum of Meteora and Mushroom Museum with the Certificate of Excellence for 2017. 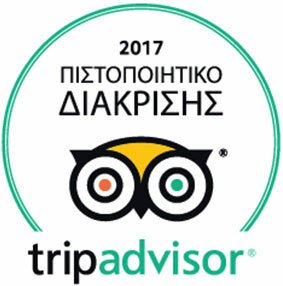 In the same time, TripAdvisor enlisted the Museum as first among the Museums in Thessaly and as second among the Greek Natural History Museums…. The 3rd Annual Mushroom Feast will take place in Kalabaka at the end of September.